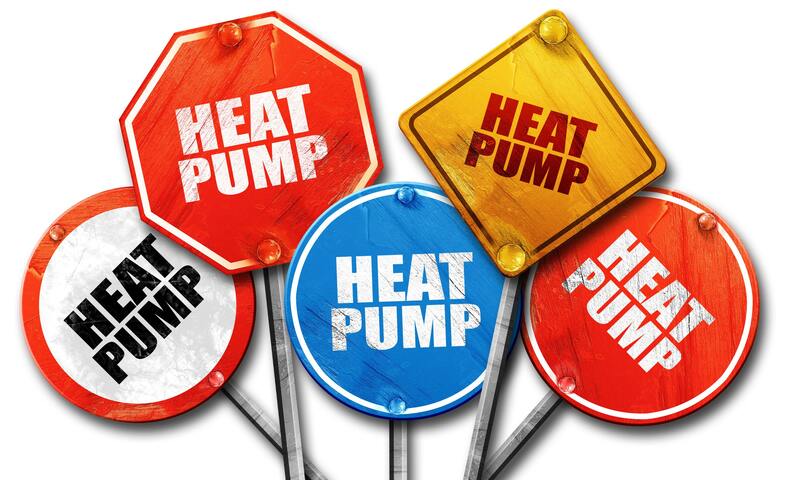 Did you know that there’s more than one type of heat pump? Most of the time when we talk about heat pumps, we’re actually talking about a specific type called an air-source heat pump. Air-source heat pumps take heat from the outside air and transfer it into your home for heating. For cooling, they take the heat out of your home’s inside air and transfer that heat to the air outside. But that’s not the only kind of heat pump that exists. There’s another type of residential heat pump out there, called a geothermal or ground-source heat pump. Instead of transferring heat to and from the outside air, these heat pumps transfer heat into or out of the ground. Let’s take a look at how these geothermal heat pumps work and why they’re significantly more energy-efficient than air-source heat pumps and other types of central heating and cooling. A geothermal heat pump is made up of two major sections. One is the inside unit, which contains most of the same components that you’d find in an air-source heat pump: the compressor, condenser, refrigerant lines, and evaporator. The big difference from an air-source heat pump is that there’s no outside unit with a fan to move the outside air over the condensing coils, because the geothermal heat pump doesn’t use the outside air to pick up or release heat. Instead of having an outdoor unit and fan, a geothermal heat pump has a long loop of plastic pipe buried underground. Depending on the size of the home’s lot and the composition of the ground, that pipe can be laid out in various configurations, either horizontally or vertically, or even in repeating loops like a stretched-out Slinky. Water or a water-antifreeze mix circulates continuously through this pipe. When the geothermal heat pump is in heating mode, the water absorbs heat from the earth as it travels through the pipe. Then it carries that heat into the inside unit. There, the heat is transferred to the home’s air. Losing that heat makes the water cold again, so it picks up more heat as it circulates back down into the ground through the pipe system. On the other hand, when the geothermal heat pump is in cooling mode, the water absorbs heat from the home’s inside air, just like in a standard air-source heat pump. Then that heated water travels through the pipe. As it circulates through the ground, the water releases its heat into the earth, and goes back into the inside unit, cold and ready to absorb more heat and cool the home. Why Is a Geothermal Heat Pump More Energy Efficient? As you can see, there are a lot of similarities between how an air-source heat pump works and how a geothermal heat pump works. That might make you wonder how it’s possible for the geothermal heat pump to be significantly more efficient than the standard air-source type. The answer has to do with the temperature of the earth. If you’ve ever gone caving, you know that the temperature underground stays pretty constant year-round. Depending on where you are in the country, it’s generally around 55-65 degrees Fahrenheit. So during the winter, the ground is generally significantly warmer than the outside air. And during the summer, the ground is significantly cooler than the outside air. What this means for a heat pump is that it’s much easier to pick up heat from the relatively warm ground during the winter than it is to extract enough heat from the freezing air. And in the summer, it’s much easier to release heat into the cool ground than it is to release heat into the steamy air. Because of this, an air-source heat pump has to work extra hard to keep up on the hottest and coldest days, but a geothermal heat pump basically gets to run at peak efficiency all year long. Can a Geothermal Heat Pump Save Me Money? As is so often the case with questions like this, the answer is, it depends. The Environmental Protection Agency says that geothermal heat pumps use up to 44% less energy than air-source heat pumps and up to 72% less energy than a standard air conditioner paired with an electric furnace. According to This Old House, geothermal heat pumps are about 50% more efficient than even the most efficient gas furnaces. Clearly, cutting your heating and cooling energy use from 40-70 percent can lead to big savings on your monthly bills. However, you do have to balance those savings against installation costs. The big issue is installing the underground pipeline. The cost for installation depends primarily on what type of layout your particular lot requires as well as the size of your house. The bigger the house, the longer the pipeline has to be. A relatively shallow horizontal installation may cost around $3000, while a more complicated vertical installation with deep drilling may cost over $10,000. Obviously how long it takes to recoup your investment will vary greatly depending on the pipeline installation. The good news is that these underground pipelines have a potentially long lifespan. According to the U.S. Department of Energy, companies that install these pipelines provide warranties for twenty-five to fifty years. When you consider the cost of pipe installation as an investment that will yield energy savings for the next fifty years, geothermal heat pumps look like a potentially very good deal. See Also: When Should I Replace My Heat Pump?